Spotify company introduced an interesting model of company organization. 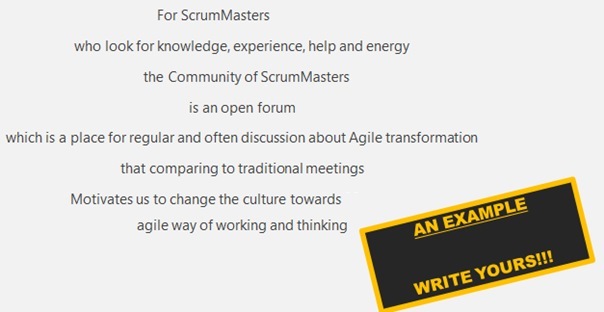 This model is very popular in agile community even Spotify says that we have to be carefull about it as it was designed for Spotify culture itself. 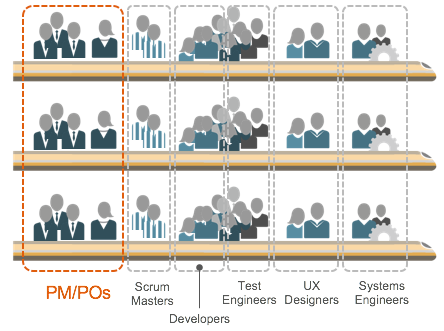 Anyway, it is so interesting, that it makes sense to consider at least some parts of it to be implemented in any agile company. Teams are organized into tribes (squads) fully focused on delivery of the product increment or at least some functional part of it. Such squads are always responsible for the result. With this organization, however, one very important question appears. 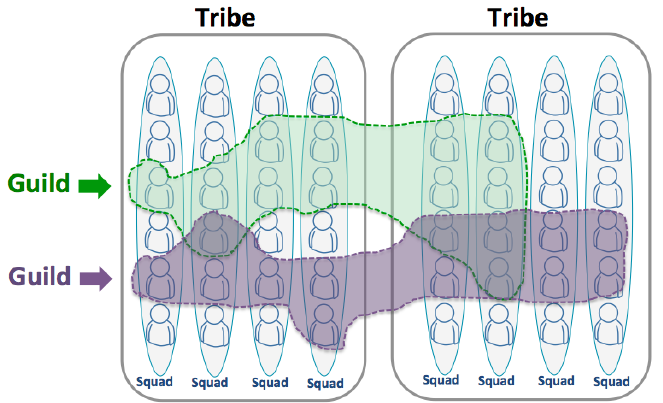 How to share the knowledge within the company if everybody is a member of some tribe (squad)? How is knowledge going to be spread? And what about principles, practices, frameworks, expertizes, tools? Those are the reasons for having a CHAPTER. The chapter is a community, a forum, of people of the same role who look for an expertise, knowledge sharing and continuous improvements of the company in particular expertise area. Many teams focused on different parts of products, different systems. The same and different problems at the same time. No company minimum standards of Agile. Together, our voice will be stronger. 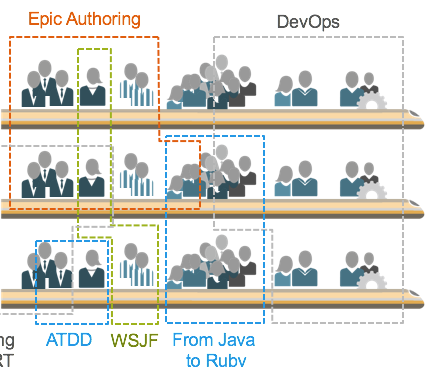 A chapter is an open group of people working for the company (including vendors as well) who have the same job role and are interested in the same topics supported by the chapter. The chapter can be based on expertise or based on topic. Some chapters are officially established, some might appear naturally as more people are interested in the solution of the same problem. The chapter meets regularly and often. Usually, it is once per month. People might join in person (the best), or online. The goal of all meetups is a discussion; it is a forum for knowledge sharing. The chapter is often split into smaller expertise groups which work on selected improvements. They inform the whole community about the progress and results in regular meetups. In the chapter, there will be one or more experts, chapter leaders. to share an expertise within the community. Chapter leader doesn’t act as manager of the community. Group can also nominate facilitators for sessions, it is not just the chapter leader who should be the moderator. To build the chapter, you have to find what defines it. Why it should exist, for who, what kind of problems are going to solve. The chapter must be interesting for people to participate, to be a member. Another way the chapter is going to die, either slowly or very fast. Without continuous support and willingness, there will be no chapter. A very nice tool is an elevator statement that is agreed with chapter leaders and all participants of the first few chapter sessions. The life of the chapter is not just about meetings and endless discussions. The other way around! It is a very focused life where topics are gathered in the chapter backlog, they are prioritized by voting of chapter members and later analyzed and presented by chapter members in regular sessions. Such backlog is managed in the same way as a typical agile product backlog. Chapter leaders are responsible for the transparency of the backlog and coordination of topics with other chapters (or squads, etc.). Results are achieved in collaboration, not just by one expert. The reason is simple. The change is a change of all people, not just one person. It is great to have different opinions and perspectives so the results fit for a wider audience in the company. The chapter should always think about the wholeness. System thinking is more important than just ‘role context’ thinking. The chapter doesn’t live in the air. It has to be connected to the real life of the company so it can help solve significant problems blocking the company. Such chapter is through chapter leaders coordinated with the senior and line management. This communication is fundamental as the chapter must have a budget in some form (typically time capacity) for its life. It is also expected that the chapter is very transparent about the achievements. In many companies, you can find such information in newsletters, slack channels or wiki pages, even in some presentations in all-hands meetings. How to start the chapter? Think about the community name. Establish mailing list or team chat/slack channel for community members. Invite other people into the community. Write down and continuously update your web pages where anybody can find information. Groom the first themes and put them into the community backlog. Meet, meet, and meet again. Even if you do not have a time, or power to go there. You will see that such meetups are energizing and eyes opening. That they have fundamental advantages comparing to traditional approaches to knowledge sharing. As Chapter Member, what should I expect? Well, there is one thing only. Active participation. The chapter must live, therefore needs an energy. The energy that chapter members provide. to publish ideas as blog posts, webinars if you are interested in. Simply to share the knowledge. Yes, that sounds like an extra work and it is. But most of the companies provide an extra time in form of capacity share invested in these innovations and problems solutions. Anyway, the agile team member is typically provided by 2 hours daily not focused on a sprint. How to engage with the chapter?